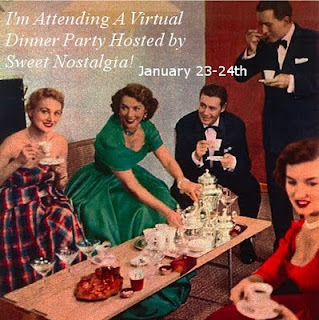 Whispering Oaks Cottage: A Virtual Dinner Party! All are invited to attend...it sounds like fun! Won't you join me too??? hey Ruth!!! so good to see you here. and guess what.. that picture on my blog of frannie and the wool, is a cat.. the chinchilla is back a few posts.. near christmas. She has since moved out to my daughters house! but be sure to look at her, she is so cute! have a great weekend and I'm looking forward to catching up with you more! Well well....good to hear from you my sweet friend!! !Been way to long between visits,thanks for your nice note! Wishing you all the best for 2010!! Talk soon,?!?!? Have a great 2010...and don't stay away so long this time!